Today on the blog we're taking a look at a selection of titles from the truly gigantic range of amazing non-fiction books from Norfolk-based independent publishers Booklife Publishing. Booklife got in touch with us to see if we'd like a look at some of their new books for 2019, and we jumped at the chance as their range ticks all of the boxes for features we look for in quality non-fiction, covering a huge age range and a truly diverse set of topics to suit all tastes and curiosities. Kids love non-fiction books that not only work in school, but are equally fun to read through at home and the first we looked at in the range definitely qualifies. 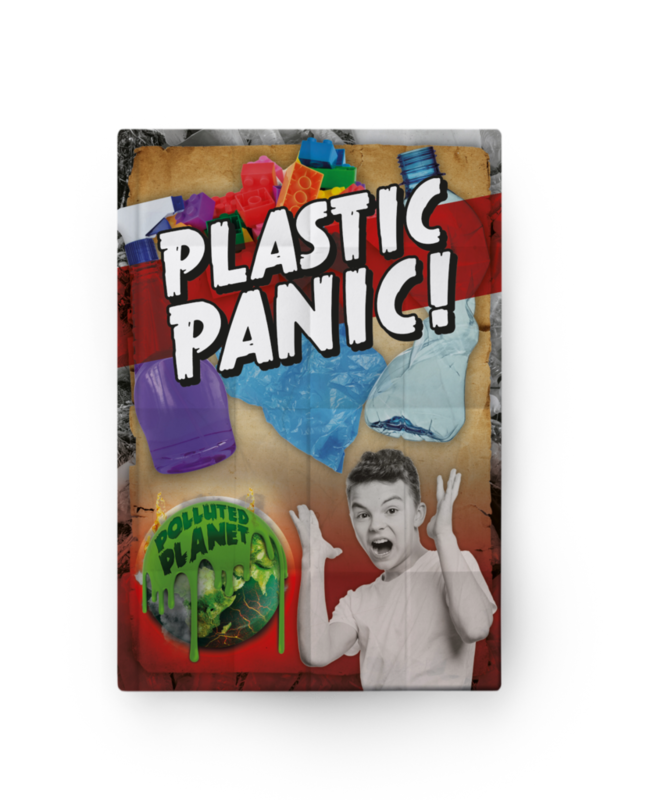 "Plastic Panic: Polluted Planet" by Robin Twiddy, designed by Drue Rintoul is a fascinating and quite horrifying look at the rise in use of single-use plastics, and the terrible impact they are having on our planet. Using a really neat mix of fiction and non-fiction, Robin tells the story of a time-travelling hacker who manages to contact a kid from the present-day to warn them of the horrific impact our love affair with plastics has had, and continues to have as we struggle to cope with the vast quantities of lethal toxins leaking into our ecosystem from the use of them. Beginning with a history lesson of how we came to use the first plastics, through to some pretty mind-bending facts and figures about how big this problem has become, the emphasis is on giving kids the vital information they need about the issue itself, and what they themselves can do to help out Terry, the future time-traveller whose world is in ruins because of our folly. Designed for KS2 Science (Text Level 7-11) this is a thoroughly absorbing and impactive title that's absolutely timely for issues that kids today are not only facing, but are beginning to protest about and do something about themselves. This really is absolutely brilliant stuff. 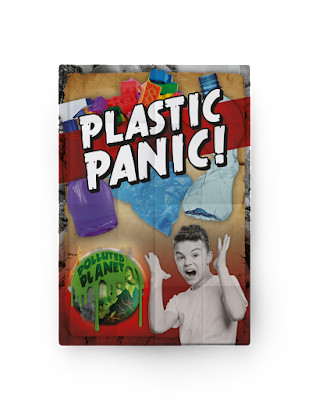 "Plastic Panic! (Polluted Planet)" by Robin Twiddy and Drue Rintoul is out now. We love books about space, so our next two titles are absolutely cosmic! 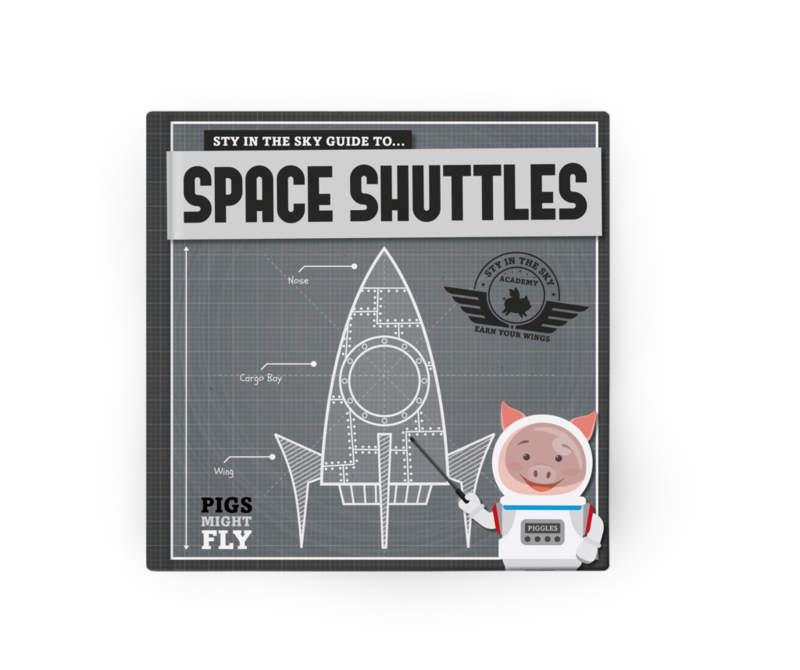 "Sty in the Sky Guide to Space Shuttles" is piggin' brilliant, a humorous yet informative look at our innovations in space travel, presented by a charismatic astro-pig! Designed to enhance Science subjects for KS1 stage (Text level 5-7) you'll find out tons of interesting information about NASA's innovative reusable Space Shuttle as well as interesting snippets of info about today's spacecraft, and how huge powerful rockets are helping us explore beyond our own home planet. We loved the mix of fun and non-fiction in this title, with excellent discussion points to stimulate classroom activities around space science and just great fun to read at home too. "Sty in the Sky Guide to Space Shuttles" by Kirsty Holmes and Danielle Rippengill is out now. "STEM in our World: Space Technology: Landers, Space Tourism and More" is another fantastic and informative look at how science is assisting our quest to explore our Solar System and beyond. Again using a mix of fiction and non fiction, our guide for our journey around space science is Professor Tess Tube (I know, I know, right?) and joining her STEM school, you'll find out tons about all aspects of space exploration, science and even space tourism! Find out what it's like to live in zero gravity, or what it cost the first space tourist to take a jaunt on a Russian rocket. With a great mix of informative text, fab illustrations and stock photographs, this is another brilliant title for KS2 (Text level 7-11) to compliment lessons based around technology, science and of course space. 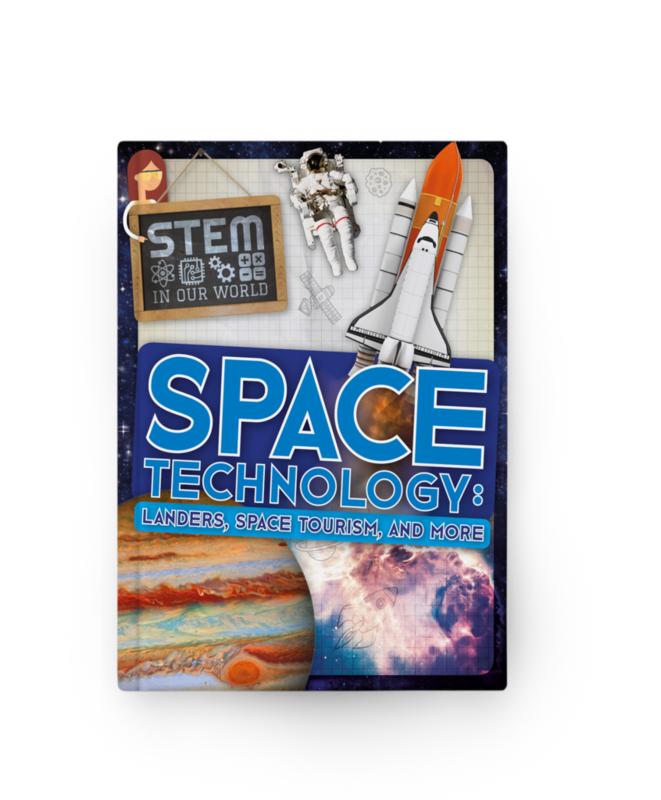 "Space Technology: Landers, Space Tourism and More" by John Wood and Dan Scase in the "Stem in our World" range is out now. Last, but by no means least, who can resist a scatological science book! Well, no one really, not even C! "Why do I Poo?" 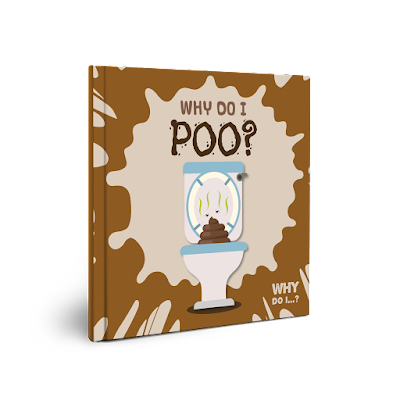 is a fun and somewhat stomach-churning yet informative look at our bodily functions as part of the "Why do I...?" range. From smelly poos to dribbly goos, bloody squirts to growing spurts: bodies are amazing - and disgusting! Have you ever wondered how a pizza becomes a poo? Why do you need to trim your toenails? Find out about farts, hearts and itchy parts in this weird and wonderful look at the body's super systems with fun and informative text, and of course plenty of squidgy illustrations to really set the tone of this fantastic laugh-out-loud non-fiction title suitable for KS1 (Text level 5-7) kids. 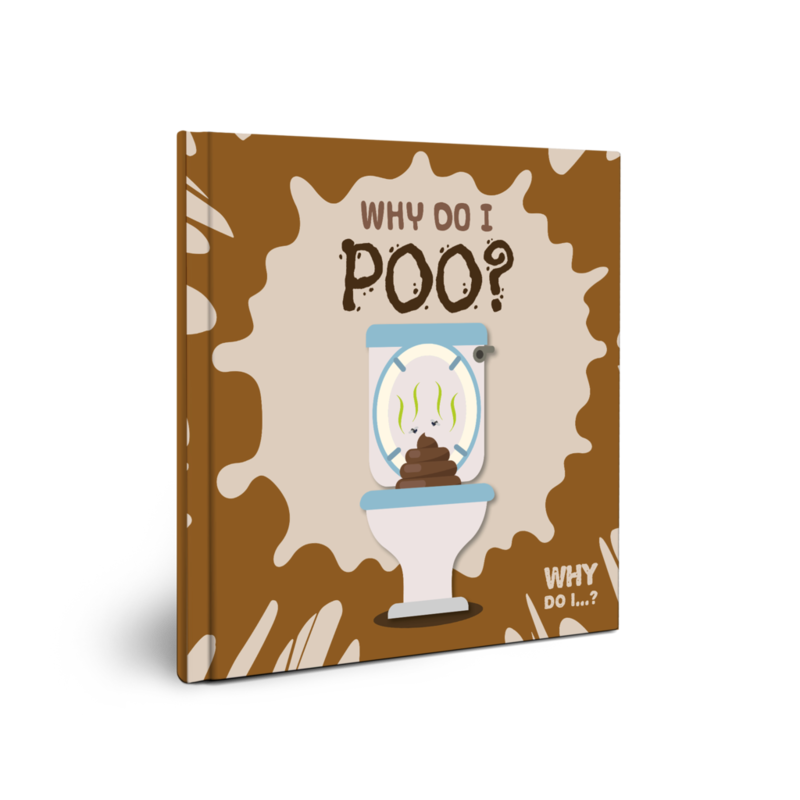 "Why do I Poo?" by Kirsty Holmes and Danielle Rippengill is out now. Please do swing by Booklife Publishing's website as they have a colossal range of books to suit all ages (we've been leafing through their catalogue and are truly impressed with the sheer number of titles they produce, and the impressive number of different subjects they cover from science to mental health, space to transport and so much more). (Our thanks to Kelby from Booklife for sending us this brilliant selection to review).